How to ensure your sport development tour is a success! Anyone who has played a sport at school knows the huge positive impact it can have on you as a student and beyond. They will also know that one of the most important and formative experiences for any school student is the sports tour. This is because it gives pupils a chance to be more responsible and independent, as well as develop valuable management and teamwork skills. 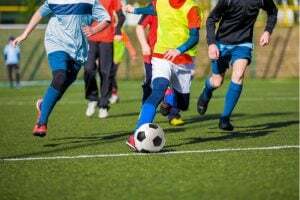 Planning a sports tour is a great opportunity for schools to offer to their students, both from a developmental perspective and an enjoyable one. However, by their very nature, sport tours are complex events to plan and execute. There are a number of factors you’ll need to consider, such as obtaining parental permission, booking travel and choosing accomodation. exciting and memorable for everyone involved. We’ve decided to use our vast experience of providing sports development tours around the world to create this short guide. So, whether you’re a veteran party leader, or a nervous first-timer, here are the tools to make your tour a roaring success. Before you even start thinking about obtaining parental permission and planning the travel and accomodation for your tour, you need to get the basics out of the way. First you need to determine the budget, then carefully choose the dates. Consider your own availability, while taking into account school holidays, regional holidays, and other local events (if you’re going abroad). Then you need to decide on the type of sports development tour your students will be most interested in attending. At inspiresport, football, rugby, hockey, netball, cricket, and skiing are just some of the great tours we offer to schools. Your pupils might be ready and raring to go on your tour, but do they have their parents’ permission? Our top tip would be to present the idea to parents with enough notice for them to budget for it, as well as give them all the information they need early. This can be sent via letter or email. Remember to include factors such as the overall costs, dates, travel, accomodation, and what the tour will actually entail. When it comes to travel, this needs to be booked in advance to ensure you get the best prices, as well as the spaces you need to accommodate the number of students that will be taking part in the sports tour. It’s likely that you’ll have to arrange more than one mode of transport to get you from A to B, so it’s vital to ensure that they work together seamlessly, causing minimal disruption to your journey. When it comes to accomodation, you’ll want to ensure that it’s in a safe, quiet area, and that you’ll be staying in close proximately to the training grounds or any other locations you’ll need to travel to in order to complete any other planned activities. Before embarking on your tour, a helpful thing you can do is to provide a checklist of everything your students will need to bring with them. This includes basic essentials, such as general toiletries, wallets, travel adaptors, sportswear, and casual clothing for downtime. If you’re going overseas, you should also make them aware of what can be packed in hand luggage and what needs to be stowed away in their main suitcase! As well as organising sports tours in partnership with global sporting giants like Real Madrid, Man City and Inter Milan, inspiresport provides dedicated regional experts to support teachers in getting their tour off the ground. This includes key services like presenting the trip to parents, and providing them with vital letters of communication at every step of the process. We then offer a dedicated account manager once the tour is booked to guide them through all the operational functions of your sports tour. Once this is underway, one of our dedicated reps will be on hand to support the party leader 24 hours a day, 7 days a week, for the duration of the trip. To find out more about how inspiresport can help you plan your sports tour to precision, contact us today.